Home to so many large urban centers, Southern California is also incredibly rich in diverse ecosystems that range from deserts to mountaintops. Small charming towns provide a wonderful, relaxing destination in their own right, while large national parks offer active recreation but also an opportunity to get close to the lush nature and diverse wildlife. Don’t forget Disneyland, LEGOLAND, and Universal Studios – world famous but fascinating and must-see for locals and visitors alike. Located in the heart of the Sonoran Desert in Southern California, Palm Springs is known for its healing hot springs, luxury hotels, world-class golf courses, and pampering spas. Palm Springs has a number of great mid-century modern architecture examples, especially in its downtown shopping district on Palm Canyon Drive. 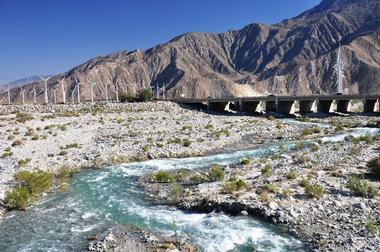 Just outside the city is Coachella Valley, with excellent trails for biking, hiking, and horseback riding. Take the Palm Springs Aerial Tramway to go to the top of San Jacinto Peak for spectacular views of the city. Visit the Living Desert Zoo and Gardens to see what thrives in the sparse desert ecosystem. Enjoy the 1938 Palm Springs Art Museum to learn about regional art, performing arts, and natural science. Only an hour from San Diego, in the scenic Cuyamaca Mountains, lies Julian, a charming historic town and a popular mountain getaway. Julian was in the heart of the only San Diego gold rush, when gold was found in a local creek in early 1870. The gold rush did not last long, but many miners stayed to farm the rich land. Many remnants from the gold rush era are still standing, and visitors love travelling back in time by visiting the historic 1870 buildings, now housing charming B&Bs or hotels. A ride down Main Street in a nicely refurbished horse-drawn carriage is a must. Visitors can venture into the tunnels of a real abandoned gold mine, stroll through century-old pear and apple orchards, fish on Cuyamaca Lake, and much more. Cabot's Pueblo Museum is a house museum in Desert Hot Springs, California. A large, Hopi-style pueblo was built in the Pueblo revival style by homesteader and adventurer Cabot Abram Yerxa in the early 20th century. The four-story 5,000-square-foot house was entirely hand-made from found and reclaimed objects and has 35 rooms, 65 doors, and 150 windows. The house museum is a fascinating portrait of the life adventures of Cabot Yerxa and his family. The museum includes many household artifacts collected during their adventures through the Dakota Territory, Mexico, Alaska, Cuba, France, California, and the Southwest. There are also many artworks from Alaska Native and Native American cultures as well as curious memorabilia of desert homesteaders’ life. Located on the tip of the Point Loma Peninsula in San Diego, California, Cabrillo National Monument was built to mark the landing of Juan Rodríguez Cabrillo at San Diego Bay in 1542. 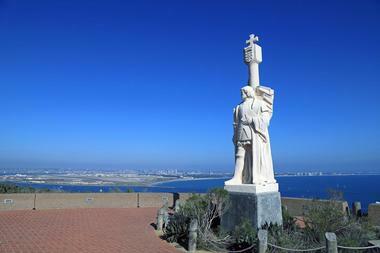 Cabrillo led the first European expedition that landed on what is today the West Coast of the US. The site, surrounded by a beautiful park, is listed as a California Historical Landmark and is on the National Register of Historic Places. The park includes various former military installations, such as coastal artillery built to protect San Diego Harbor. Every year in October thousands of visitors come to participate in the annual Cabrillo Festival Open House, which commemorates Cabrillo with a reenactment of his historic landing at Ballast Point in San Diego Bay. The celebration includes Portuguese, Kumeyaay, and Mexican singing and dancing and booths with regional and period native food. Carpinteria is a charming, small California coastal community between Ventura and Santa Barbara known for its spectacular, safe beaches. The town life revolves around its lovely downtown, lined with stately palm trees, galleries, cafes, boutiques, and restaurants, which is the heart of the Carp, as the locals call their town. They go for burgers at The Spot, stroll along Linden Avenue for window-shopping, have a cup of coffee at Zookers Cafe, or look for a gift at the quirky gifts store SOAP. Carpinteria’s wonderful white sand beach is equally popular with families and surfers and is safe, clean, and spacious. Along the mile-long beach lies the Carpinteria Bluffs Nature Preserve, a green area with hiking trails and scenic overlooks with views of the ocean and playful harbor seals. Carpinteria Valley Museum is a wonderful place to learn more about the area, with exhibits that range from Native American artifacts to original Victorian antiques. One of California’s Channel Islands, southwest of Los Angeles, Santa Catalina is only 22 miles off the coast and is a curious combination of resort towns such as Avalon, the rustic charm of the old town of Two Harbors, rich wildlife and diverse wild nature at the nearby Mt. Orizaba, and endless adventures. The largest island beach, Descanso Beach, is lined with stately palm trees and colorful cabanas. The magnificent circular art deco Catalina Casino is the island’s cultural hub with a museum, a movie theater, and ballroom. Catalina attracts thrill-seekers with its Island Zip Line Eco Tour, snorkeling, diving, boating, and land and sea excursions. 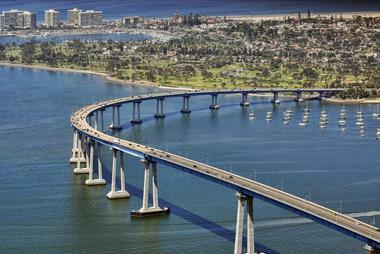 Coronado is a historic resort city on a peninsula in San Diego Bay. The city’s oldest landmark is the 1888 grand Victorian Hotel del Coronado. The magnificent hotel is located just across from Coronado Beach, which is popular with surfers and sunbathers. On the western end of the beach is the leash-free Coronado Dog Beach. The Coronado Ferry Landing is a lively area with shops and restaurants, while the Gaslamp Quarter is famous for its rich nightlife. Centennial Park offers spectacular views of the San Diego skyline, and the Point Loma Peninsula has a popular park with the Cabrillo National Monument, hiking trails, tide pools, and fascinating exhibits on California history. Crestline is a small mountain resort town close to the major Southern California cities, perfect for an active day trip. 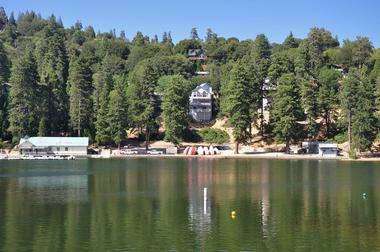 Surrounded by the San Bernardino Mountains and on the banks of scenic Lake Gregory, Crestline is the perfect playground for visitors who want to enjoy fishing, swimming, boating, sunbathing, and fun waterslides. The whole area is crossed by hiking and biking trails snaking through the fragrant pine forests. All around Lake Gregory runs a fitness trail with high-tech exercise stations located at strategic spots. 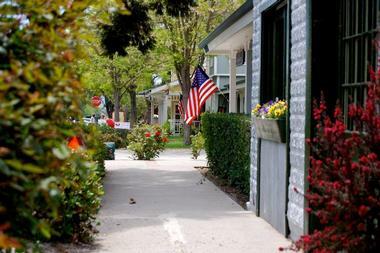 The historic Old Town area and Lake Drive are full of quaint shops, cafes, and restaurants. Horseback riders can head out to scenic Mojave River Forks Regional Park. 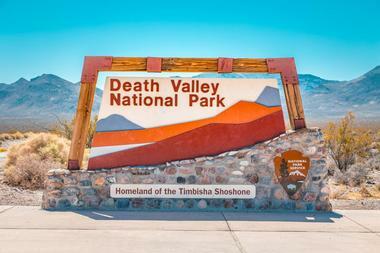 Death Valley National Park stretches between eastern California and Nevada and is one of the driest spots in the world. The park includes Titus Canyon, known for its ghost town and interesting colorful rocks, and the lowest spot in America – Badwater Basin and its salt flats. High above the valley, higher even than pine trees, is the Telescope Peak Trail. Hospitable only to rattlesnakes, the Mesquite Flat Sand Dunes are located north of salt mounds called the Devil’s Golf Course. It is hard to believe, but Death Valley is home to a number of animals adapted to the dry conditions, such as bighorn sheep, kangaroo rats, and others. In spite of the inhospitable conditions, Death Valley is a fascinating place to visit, with massive sand dunes, mysterious singing rocks, salt flats located below sea level, and brightly colored sandstone canyons. There are also whole fields of wildflowers if you come at the right time. Disneyland Park, or Disneyland as it is known worldwide, was built in 1955 as the first theme park at the Disneyland Resort in Anaheim, California. It is a magical kingdom where children and adults alike enter a dreamland where they can sail with blood-thirsty pirates, explore thriving jungles, dance with fairytale princesses, dive under the ocean with mermaids, and fly among the stars. Disneyland Park is an iconic Southern California destination to which families from all over the world make a pilgrimage to visit beloved characters from Disney movies and cartoons, see endless shows, eat favorite treats, and have the time of their lives. 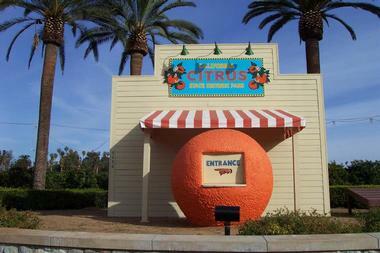 The park is divided into eight themed areas: Main Street, U.S.A., Fantasyland, Tomorrowland, Mickey’s Toontown, Critter Country, Frontierland, Adventureland, and New Orleans Square. One of the oldest cemeteries in Los Angeles, California, Hollywood Forever Cemetery was founded in 1899 and was one of the first West Coast cemeteries designed like a park, with lush greenery, a pleasant landscape, and classical architecture. 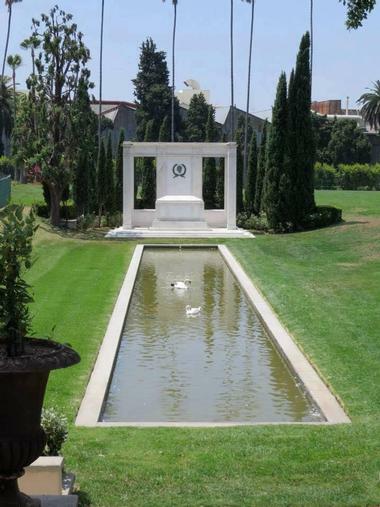 It is listed on the National Register of Historic Sites, and there are more celebrities buried in Hollywood Forever than in any other cemetery on the planet. In the 1920s, visitors to Los Angeles used to search the city for celebrity homes but also for their tombstones at the cemetery. The cemetery was quite neglected until late 1997, when Tyler Cassity bought it, and he has been restoring it ever since. Ever summer since 2000, Hollywood Forever has featured “cemetery screenings” under the stars, showing classic Hollywood films. 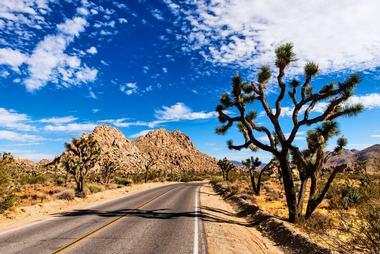 Joshua Tree National Park is a huge protected area near Palm Springs in Southern California. It has two distinct desert ecosystems, the high Mojave Desert and the low Colorado Desert. It is home to an incredible diversity of plants and is characterized by stark, empty desert landscapes and rugged and colorful rock formations. The park got its name for one of the most common trees in the region: The twisted, strange-looking, bristly Joshua tree. The incredible beauty and strange energy of the place has long attracted painters, musicians, and other artistic types. Today, the park offers all kinds of adventures, from exploring the Indian Cove Nature Trail to rock climbing at Echo Cove or any of over 8,000 climbs and 400 rock formations to strolling through the magical Cholla Cactus Garden, and much more. 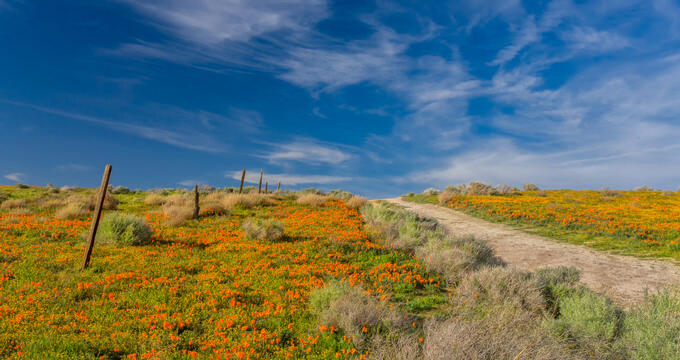 To enjoy the full majesty of the Antelope Valley Poppy Reserve, you have to visit it in the spring, when the valley bursts into a spectacle of bright colors and the typical seasonal show of the Mojave Desert grasslands. The mosaic of colors and fragrance changes from day to day and from year to year and lasts from mid-February to the end of May. There are 8 miles of trails in the park, and strolling along the rolling hills covered in wildflowers is a true delight. There are occasional benches, perfect for spotting lizards, meadow larks, or even a bobcat. The Jane S. Pinheiro Interpretive Center features wildlife and wildflower exhibits, a gallery of Jane Pinheiro’s botanical watercolors, an orientation video, and a gift shop. 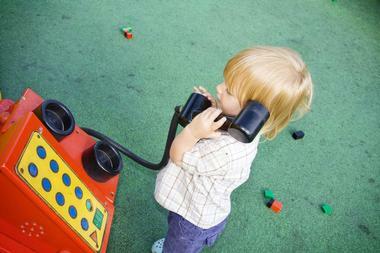 LEGOLAND California is a theme park and aquarium in Carlsbad, California, based on the popular LEGO toy brand. The park, which opened in 1999, is designed for families with children aged 2 to 12 and has more than 60 rides, shows, and attractions. Kids can travel on the Dragon Coaster, drive in Fun Town, and explore the cities constructed entirely from millions of LEGO bricks. They can also splash at the LEGOLAND Water Park and visit the SEA LIFE aquarium, featuring the new Sea at Night display showcasing bioluminescence. There is also the Lego Ninjago interactive ride, in which riders control lightning shockwaves, ice, and fireballs. The SEA LIFE aquarium provides a home to over 5,000 living creatures and LEGO models that travel to the depths of the ocean. Known to people all over the world as the center of the movie and television industry, Los Angeles is a large, modern city famous for its iconic Hollywood sign, famous studios such as Universal, Warner Brothers, and Paramount Pictures, tours of luxury celebrities homes, and historic theatres such as TCL Chinese Theatre with its celebrity footprints and handprints. 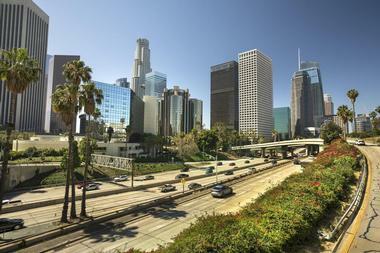 But, there is more to Los Angeles than just the movies. The best way to see the city is from the OUE Skyspace LA observation deck, which is 1,000 feet up. Visit the Getty Center in Brentwood to see some of the world’s greatest art. Take a hike through Runyon Canyon Park in the heart of the city and see Hollywood from a very different perspective. Take a stroll along Rodeo Drive and see where the stars go shopping; you might even spot some! 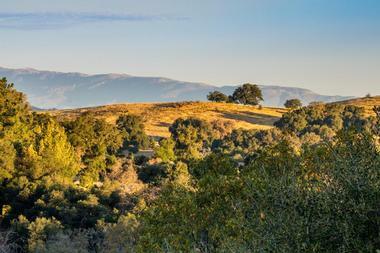 Los Olivos is a charming small town in the lush, scenic Santa Ynez Valley, surrounded by picturesque Santa Barbara County’s vineyards and lively horse ranches. The town is a wonderful place to visit for a day or a weekend as it is full of art, gourmet restaurants, excellent wineries and wine bars, antique shops, popular festivals, and great outdoor fun opportunities. Follow the Foxen Canyon Wine Trail to visit all the best wineries and vineyards. 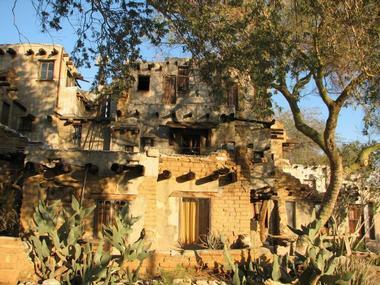 Stroll through the historic town center with old trees and gardens and a number of Victorian architectural treasures. Visit the 1882 Keenan/Hartley Home, Rice’s Gas Station, the Uncle Tom Davis Store and the Campbell and Fleenor homes. 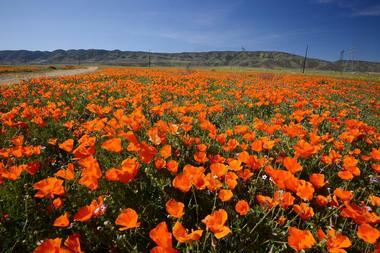 Anza-Borrego Desert State Park is located in southern California, within the Colorado Desert. The 600,000-acre state park is the largest in California and was established in 1933 to protect unique and fragile desert ecosystems. The park is framed by rugged ranges of the Bucksnorts, the Santa Rosas, the Jacumba Mountains, the Vallecito Mountains, the Pinyon Mountains, the Anza-Borrego Mountains, and the Carrizo Badlands. More than 500 miles of roads run through the park, over rocky hills, deep sands, cool streams, and steep hills, some requiring an off-road vehicle. The park includes some of the hottest spots in the country as well as rich 6,000-year old archaeological findings. Visiting the park in the spring will award visitors with a spectacular mosaic of wildflowers. The park is home to many animals, including mountain lions, coyotes, bighorn sheep, and others. 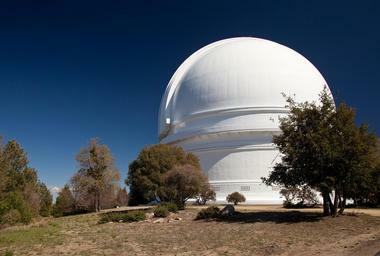 Located on Palomar Mountain near San Diego, Palomar Observatory was established in 1928 and was at the time the largest astronomical observatory in the world, and to this day it is one of the world’s finest. Palomar Observatory is operated by the California Institute of Technology and is a world-renowned center of astronomical research. The observatory has three research telescopes: The 200-inch Hale Telescope, the 48-inch Samuel Oschin Telescope, and the 60-inch telescope. Leading the world’s astronomical research since the mid-century, the observatory today operates every clear night and is used for scientific research, development of instruments, and student training. It is also a popular tourist destination and tens of thousands of visitors come from all over the world to see the famous 200-inch Hale Telescope. San Diego Zoo in Balboa Park, San Diego, California, is one of the largest zoos in the country, sprawling across 100 acres and offering a natural habitat for more than 3,700 animals from 660 species. The lush, verdant park also has 700,000 plants from all over the world, which recreate native environments for the animals. The zoo, founded more than 100 years ago in 1916, is an absolute delight for any animal lover. Miles of trails will take you to a tropical oasis to see gorillas in what looks like real jungle as well as tigers, eagles, sun bears, reptiles, leopards, thousands of colorful tropical birds, and much more. In the Australian Outback biome exhibit you will see a family of 24 koala bears, while at Elephant Odyssey you will meet animals that used to roam the fertile hills of Southern California. The Skyfari Aerial Tram will offer you spectacular views of the whole park from the air. 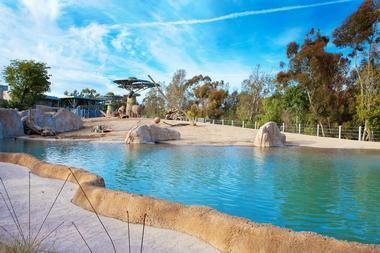 With or without kids, you will enjoy every minute of the visit to this exceptional animal park. 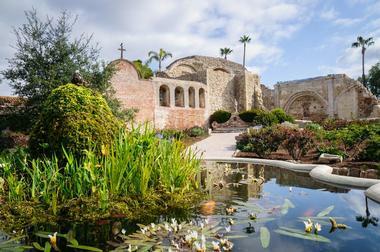 San Juan Capistrano is a small town east of Dana Point, about 10 miles from downtown Laguna Beach. The town’s most famous landmark is a jewel of all California missions, established by Roman Catholic priests in the 18th century. Stroll through the Los Rios Historic District with its centuries-old tile-roofed adobe homes and wood cottages, and if you come in March you can watch the swallows return to their homes in the old mission as they do every year. Cool off or have a picnic at Doheny State Beach. Learn more about the history of San Juan Capistrano at the fascinating Blas Aguilar Adobe Museum. What was in the 1920s just avocado groves and fields of lima beans is today a charming coastal town popular with surfers and families. With 4 square miles by the sea, much of life revolves around beaches here. The nicely manicured green polo fields at the southeast end of town attract a different kind of crowd. A short distance from the beach is sprawling San Dieguito Park, with miles of hiking trails, playing fields, and ocean overlooks. The San Elijo Lagoon Ecological Reserve is a lush wetland with 7 miles of trails and rich wildlife. Fletcher Cove Beach Park has something for everyone: A viewing deck, a basketball court, grassy area with picnic tables and benches, and a large kids’ playground. Visiting Universal Studios Hollywood in the San Fernando Valley in Los Angeles allows visitors to go behind the scenes of the movie making magic. The best way to explore this vast world is by taking a 60-minute open bus tour through 13 city blocks on 4 acres of historic movie sets that you will easily recognize as well as currently working movie studios. After the tour, enjoy theme park rides and shows such as The Wizarding World of Harry Potter, DreamWorks Theatre with Kung Fu Panda, and the post-apocalyptic world of The Walking Dead. You will even have the chance to get up close and personal with King Kong in 3D and so much more! When you combine a grandiose vision, wild imagination, and a lot of money, you get a wild marshland transformed into a luxury resort that was tobacco millionaire Abbott Kinney’s idea of Venice in America. 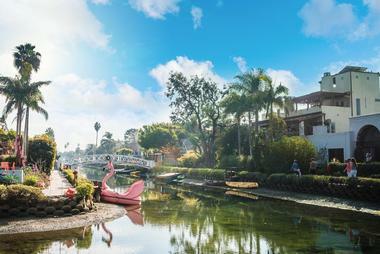 He designed a network of canals lined with flowerbeds, crossed by charming bridges, and dotted with colorful gondolas. Unfortunately, after a period of popularity, the canals fell into disrepair; but after 40 years of neglect, the canals are in fashion again and the whole neighborhood is being rapidly renovated. It is once more a fun place to visit with funky architecture, pleasant paths along the water, and an interesting landscape. Just a short drive from downtown Palm Springs, at the top of Whitewater Canyon Road, the Whitewater Preserve is spread out across 2,851 acres of land owned by the Wildlands Conservancy. The preserve is surrounded by the San Gorgonio Wilderness and includes the Whitewater River, which flows all year round. The river creates a rich riparian habitat that provides home to the endangered southwest willow flycatcher and Bell’s vireo as well as many other wild animals such as deer, bears, and bighorn sheep. The preserve is open to the public and is a popular spot to cool off in the summer. It also provides access to the Pacific Crest Trail. The Whitewater River is full of rainbow trout, but fishing is allowed only as a catch and release program for kids. There is a nice swimming hole and several scenic spots for picnics and camping.